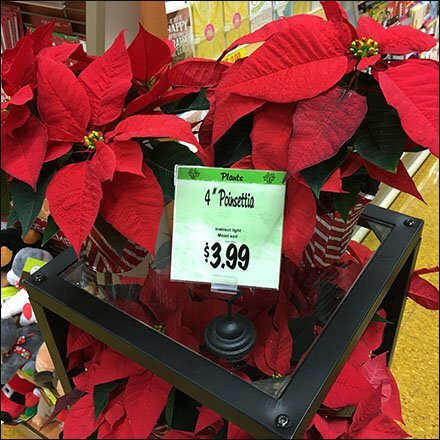 This Poinsettia Mobile Cross Sell in Greeting Cards tempts shoppers to go above and beyond a simple Holiday note. Give Holiday Flowers instead. The castered tower is small footprint and able to negotiate even the narrowest of Aisles to go where the customers congregate. Consider this Poinsettia Mobile Cross Sell in Greeting Cards as a strategy for your own store.